Alpine Revolution is a start-up tech company that engineered an mp3 player from 100% recycled material and about half the size of an iPhone. 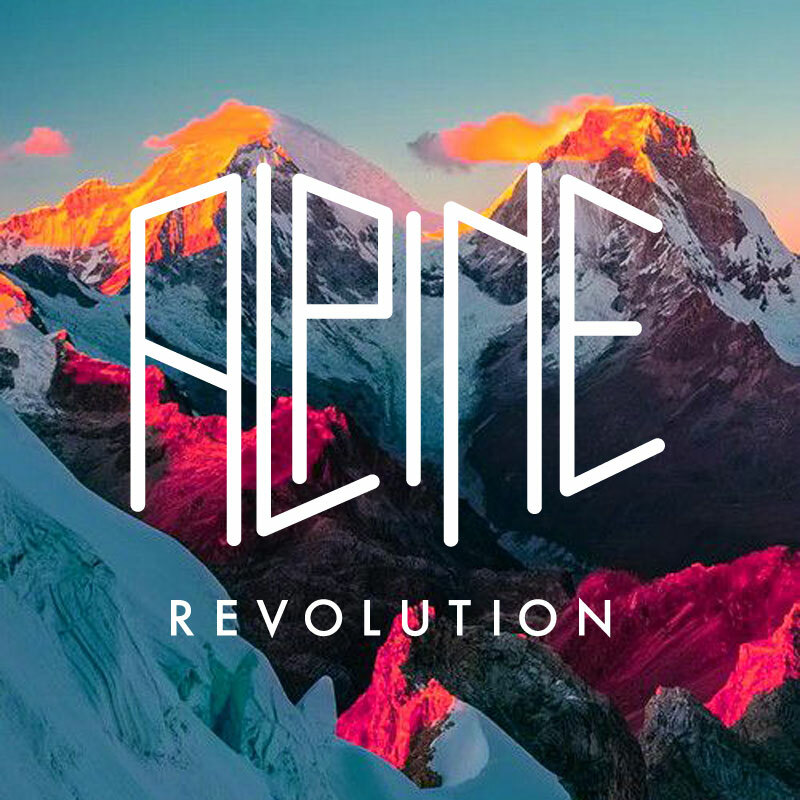 Alpine Revolution is targeted towards the active-adventure seeker. Being so active and wanting to minimize the amount of equipment used this mp3 player is a fraction of an iPod/iPhone and simplifies the process. The guys at Alpine Revolution are huge skiers which is how they came up with this idea. Being skiers they were heavily inspired by the idea of integrating snowflakes and gears for their logo. (see below) That idea started to seem more corporate and I thought it would be more successful as an added component rather than a logo. Going back to the snow idea I thought mountains was a more universal symbol regardless of what adventure you’re looking for - climbing, skiing, boarding or running. After sketching the mountain illustration above I jumped right into making their name ALPINE have the same feel as those mountains did. A few name changes and their mark was finalized. Above are other paths that were explored for Alpine Revolution. Below are examples of different banner ads that heavily focus on their ideal market of adventure seekers and emphasizing the need/use of speed. The banners would animate while being scrolled over. Marketing collateral was needed for a presentation at a ski convention to hook investors.